Brr!!! It’s been pretty chilly lately (or at least that’s what this summer-loving southern girl thinks)! 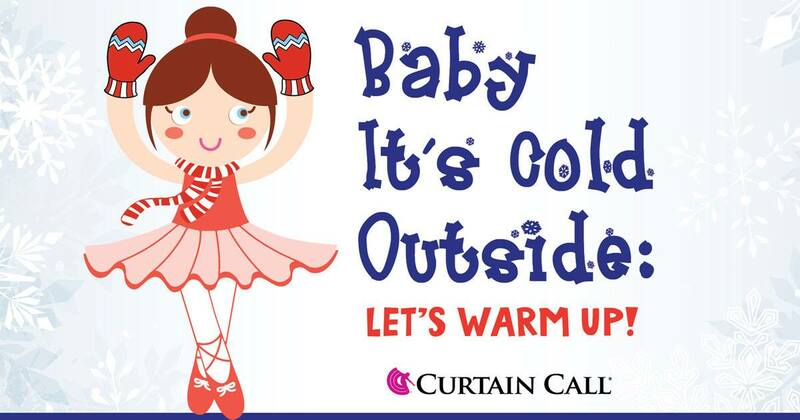 As we bundle up, it’s important to remember that cover-ups to and from dance class are important all year long. – it’s also an important policy here at Dawsonville Dance. Especially in cold weather, it’s important to keep muscles warms before and after class. Even though the cold air might feel good after working up a sweat, it can make your warm muscles tighten and cramp! This can be painful, hinder flexibility, and lead to injuries. Having another layer on over your dance clothes helps the muscles regulate temperature and cool down at a safe rate. In addition to muscle safety, cover-ups add to appropriateness and professionalism. Even the youngest dancers can learn what is appropriate clothing to wear in different environments. Tights and leotards are great for dance class, but not for grocery shopping! Professional dancers never go out and about in their dance clothes, and as we strive for professionalism, neither should we! We want the best for our dancers. And just like our dress code, our cover-up policy helps us dress like a dancer, feel like a dancer, and act like a dancer!